Nine-year-old Caleb Clobes sustained a broken left elbow so serious in a fall from the parallel bars that he lost all feeling in his hand. Crushed bone tore into tissue and interrupted the flow of blood in his tiny vessels so that he could not even move his fingers. “The nerve damage was severe, and we could hardly feel a pulse in his arm,” recalls his mother, Beebe Healthcare oncology nurse Allison Clobes. That day in September 2014, Caleb was stabilized in Beebe’s Emergency Department and then quickly airlifted to Alfred I. DuPont Hospital for Children in Wilmington, Delaware, where surgery was performed. While the bone was able to mend after five weeks immobilized in a cast, the complexity of the injury has meant months of painstaking work for Caleb and Alice Workman, OTR/L CLT, the Beebe occupational therapist who is teaching him how to use his left arm and hand again. Caleb immediately started occupational therapy at the Beebe Health Campus on Route 24 in Rehoboth Beach. Beebe occupational therapists work with children and teens, as well as adults who have sustained injuries to bones, soft tissue, and nerves. While most often these injuries occur during sports and other activities, some have been caused by burns. Alice recalls that the youngest patient she treated was a 1½-year-old who had suffered a burn. Caleb went to occupational therapy regularly for months. “I get to play all kinds of games,” Caleb says, citing as examples Battleship, a game of strategy, and Monkey-in-the-Middle, a game of passing a ball. Games were a part of the regimen that helped him sharpen his motor skills. Alice says that children pose a particular challenge for occupational therapists because they require more patience and more creativity. While therapists can explain to adults why they might be doing a particular exercise, therapists have to think of many more exercises for children to keep their attention and to make sure they are engaged in tasks that are fun and goal oriented. Through the recovery process, Caleb soon started climbing the rock wall at home, and by April he started lifting weights. 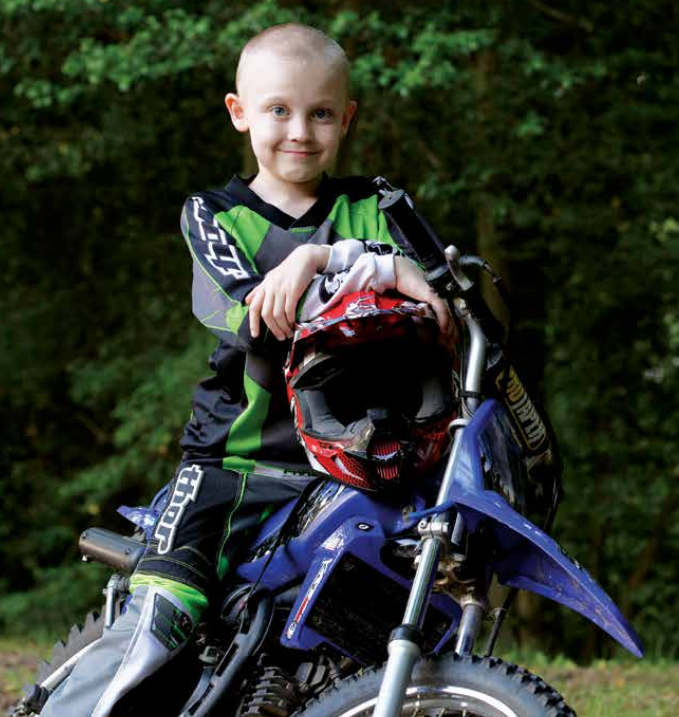 By May, enough sensation had returned to his hand that he was able to hold on to the handlebars of his BMX bike, which he likes to ride along the trails on his family’s land. He started racing again in Milford on May 16. He also returned to taking part in 5K races. Occupational therapy, the specialty that helps patients improve fine motor skills so that they can return to their normal activities made a difference for Caleb. He has learned again how to use his hand and his fingers. The therapy has improved the strength and feeling in the nerves and tissues that were affected in the accident. Read more about Beebe's Physical Rehabilitation Services.